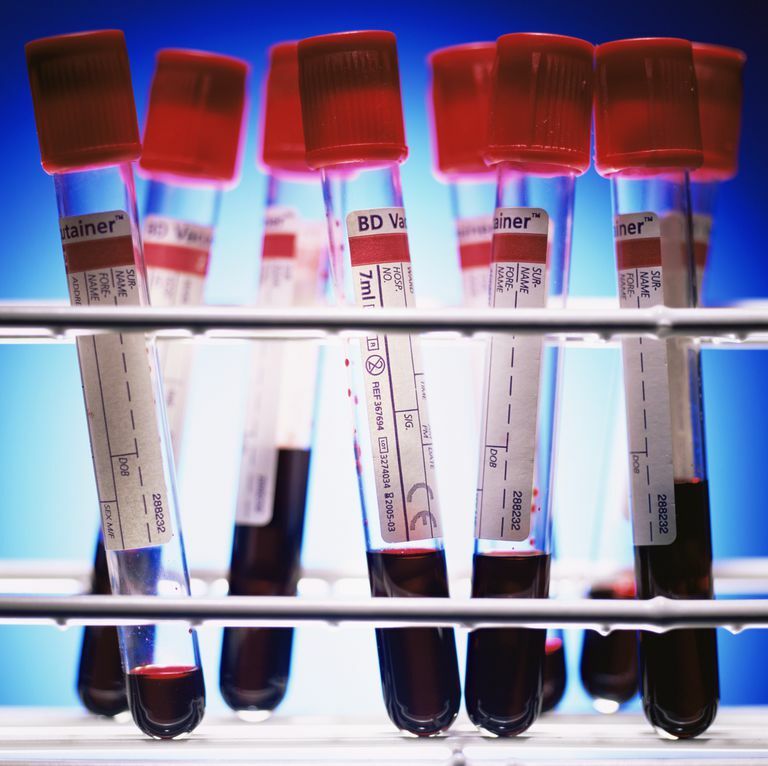 There are a few blood tests that doctors typically order to assess inflammation and to help diagnose arthritis. The four common blood tests performed on patients suspected of having rheumatoid arthritis, or to monitor the effectiveness of treatment, include the erythrocyte sedimentation rate, CRP, rheumatoid factor, and anti-CCP. But, there's a "newer" kid on the block, metaphorically-speaking, called Vectra DA. Vectra DA, developed by Crescendo Bioscience, is a multi-biomarker blood test for assessing rheumatoid arthritis disease activity in patients treated with DMARDs (disease-modifying anti-rheumatic drugs) and biologic drugs. Vectra DA assembles a panel of 12 key proteins that have been associated with rheumatoid arthritis into one test which produces an objective, quantitative score related to disease activity. The score, 0-100 (lower score indicates less disease activity), helps doctors and patients make treatment decisions as they go forward. Vectra DA was first introduced in late 2010. Since then, according to Crescendo Bioscience, rheumatologists have utilized the information that the tool can provide to evaluate disease activity in people with rheumatoid arthritis. Vectra DA is available in all 50 states, and the test is performed at Crescendo Bioscience's Clinical Laboratory Improvement Amendments (CLIA) facility. After a blood sample is received and tested, results are reported within 7 to 10 days. Doctors may receive the results in a few different ways: postal mail, fax, or on the web portal Vectra View. Check with your private insurer to be sure that the Vectra DA is covered by your insurance. Medicare fully covers Vectra DA with no copayment or deductible. Crescendo Bioscience wants to ensure that cost is never a barrier for anyone with rheumatoid arthritis who should have the test. You can call 1-877-RHEUMDX (1-877-743-8639) to learn about financial assistance. A biomarker is a molecule in the body that can be objectively measured and evaluated. It is used to determine normal activity or abnormal disease activity, or effectiveness of treatment. VCAM-1 (vascular cell adhesion molecule-1) plays a role in the interaction between cells, blood vessels, and connective tissue in the joint. Within joints affected by rheumatoid arthritis, the interaction can contribute to the build up of inflammatory cells. EGF (epidermal growth factor) is produced by cells in joint tissue affected by rheumatoid arthritis, promoting cell growth and inflammation. VEGF-A (vascular endothelial growth factor A) is produced in joints that are inflamed, contributing to blood vessel formation, fluid buildup, and bone erosion. IL-6 (interleukin 6) drives inflammation, cartilage deterioration, and bone erosion associated with rheumatoid arthritis. TNF-RI (tumor necrosis factor receptor, type 1) is a receptor for TNF-alpha, another molecule that drives joint inflammation and destruction. MMP-1 (matrix metalloproteinase-1 or collagenase-1) is an enzyme that contributes to cartilage destruction in rheumatoid arthritis. MMP-3 (matrix metalloproteinase-3 or stromelysin-1) is an enzyme that destroys components of cartilage. YKL-40 is a protein that helps regulate tissue remodeling and destruction. Leptin is a hormone secreted by fat tissue, cells in the joint tissue, and bone. Leptin contributes to inflammation and regulates bone remodeling. Resistin is a hormone secreted by cells in the joint tissue and bone that contributes to inflammation and controls bone remodeling. SAA (serum amyloid) is a protein produced by the liver in response to inflammation. Serum amyloid may be produced by the joint tissue as well, where it can activate tissue and immune cells. CRP (C-reactive protein) is produced by the liver in response to inflammation. Interpreting your score is essential: 45 to 100 indicates a high level of disease activity; 30 to 44 indicates moderate disease activity; and 1 to 29 indicates a low level of disease activity. The Vectra DA test is appropriate for patients already diagnosed with rheumatoid arthritis who, at their doctor's request, choose to have their level of disease activity evaluated. It is NOT used to diagnose arthritis. It evaluates disease activity. At the 2016 EULAR (European League Against Rheumatism) annual meeting, study results were presented that showed, in addition to tracking disease activity, Vectra DA may "predict flare and sustained remission in patients discontinuing treatment, as well as treatment response to biologic and non-biologic therapies." Vectra DA. Disease Activity Test. Crescendo Bioscience Announces that New Data on Vectra DA Will Be Presented at the European League Against Rheumatism 17th Annual Congress. Crescendo Bioscience. June 10, 2016.